Next article Route Change Update! Me trying to explainz why I LOVE bread and why I “borrowed” some from Mommaz! It’s just another day for me in paradise! Everywhere I go, people always recognize me. They point at me, smile and wave, tap the side of my bike trailer while making “goo-goo daaaag-daaag” sounds, and sometimez they even say I have the most beautiful eyes in the world! Yes, it’s true, I’m in love with Austria, or what I’ve renamed Dogstria. It’s like everyone is celebrating life, all the time. The people are SUPA (she means “super” which Austrian’s love to say) friendly and always want to know my name, “Soooooooo-wrrrrra” as they say. Loving the scenery while Daddyz pulls me up a hill! Despite the whole wheat attitude of the Dogstrians, I do have one problem with my newest favorite people. Why oh, why?! Did they name a city after me? Bad Aussie?!!? What the @#)@#*% is this? Did mommaz and daddyz tell them about that time I chased Nima, our cat, because he was giving me the STANK-eye? Come on, that was ages ago and I’ve moved on! Seriously though, why did Dogstria name a city in honor of the BAD version of me?! Yuck! 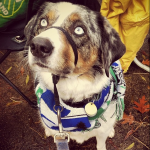 Speaking of bad versions of me, Dogstrians often ask me if I’m a Husky. Yes, a Husky. If only they can see me rolllllling my starry-eyes in the Rick Shaw. Sometimes, I wonder, “Do I look like a Husky? Are you calling me big boned? It’s my winter weight, and girl, it takes a while to get rid of, you can’t just pray the extra away!” Then mommaz and daddyz explained that they’re talking bout my bread (see means breed), and they think I’m a Siberian Husky. ZMOG, LOLx 253!!! Do I pull a sled? 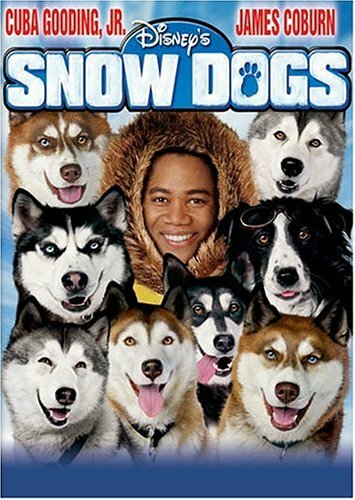 Did I star in SnowDogs with Cuba Gooding Jr? ME thinks NOT! Do I look like I’m one of these dogs?!?! In other NEWS…Daddy’z has been talking a lot about the Fare Thee Well tour (she is referring to the Grateful Dead and Trey Anastasio of Phish tour that celebrates the 50 years the band has been playing together). I know Daddyz is always talking about the “jams” he loves from the Endless Boundaries podcast. I think he means the jams he puts on his toast with endless boundaries. Seriously, have you seen how much jam he goes through?! ZMOG! Anyway, I have decided to honor the Grateful Dead by starting my own tour. It’s called the Feed Me Well™ tour where I get to tour all over the world and eat tonz of bread. Yup, I’m a certified #BreadHead. I can’t get enough! Olive-based, whole-weeds (see means whole wheat), seeded, cinnamon, focaccia, ciabatta, or just plain. I love to HOLLA at them crumbs. Sometimez, I steal bread from Mommaz and Daddyz plate, AND sometimez I just start-getting-all-vocal ‘cause I want some baked NOMS! M & D think I have a problem with bread. I think they’re right, my problem is there isn’t enough B-R-E-A-D in my M-O-U-T-H. Does anyone back in Portland know when Dave’s Killer Bread has their annual warehouse sale? That first picture is too funny! Dave, put away your guns before you scare the kids.